MERCED, California -- People for the Ethical Treatment of Animals, better known as PETA, announced Tuesday they will be putting up a billboard at the site of a crash that killed dozens of turkeys in California. 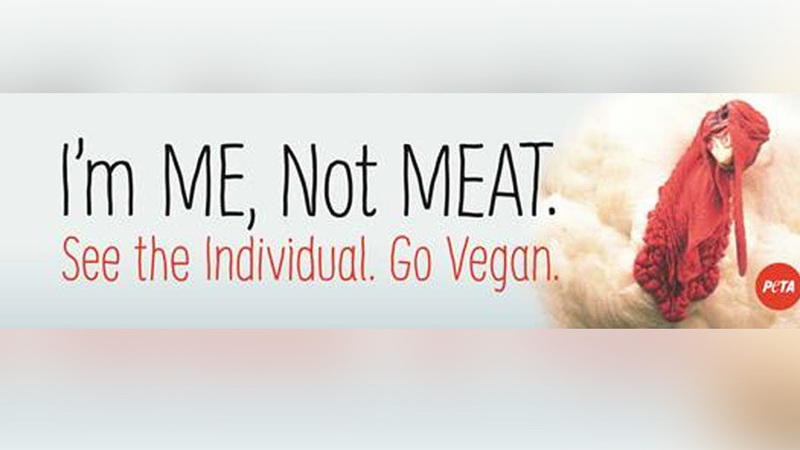 The billboard will show a turkey's face next to the words "I'm ME, Not MEAT. See the Individual. Go Vegan." A Foster Farms truck overturned near the Mission Avenue exit on Highway 99 in Merced on August 21.
he driver of the truck suffered only minor injuries, but dozens of birds died in the crash. The Highway Patrol said witnesses at the scene reported seeing a blue Honda hit the side of the truck, causing the driver of the turkey truck to veer off the roadway. "Yet another Foster Farms truck crash has left countless birds dead or mangled, and any survivors were presumably shipped off to the slaughterhouse," PETA Executive Vice President Tracy Reiman said. "PETA's billboard would remind everyone that the single best way to prevent these horrific accidents is to keep turkeys off the road in the first place by going vegan." According to PETA, this is the second Foster Farms truck accident this summer and PETA also says more than 50 crashes involving animal transport trucks in the U.S.